Krysta had always struggled with her weight as far back as she could remember. Being almost 30 and having fought with her weight and never accomplishing anything with it. With a recent diagnosis of Multiple sclerosis and a significant change in her energy levels, she knew she wanted something different for herself. She decided to let Jensen fitness help her to start her transformation and lost 22 pounds and 28 inches during the 10 week fitness challenge. After her diagnosis with Multiple Sclerosis in 2010, Krysta knew how she worked out would be greatly impacted. There were days where her mind wanted to do something but her body couldn’t keep up. Some days were exhausting for Krysta, which resulted in early bed times, and no energy for much else. Shayne and Christine were understanding of this and how it impacted Krysta’s training on some days. Krysta had tried all the diets, workout programs, boot camps and never saw results like she has with Jensen Fitness. Shayne and Christine can change people's lives physically, mentally and emotionally. 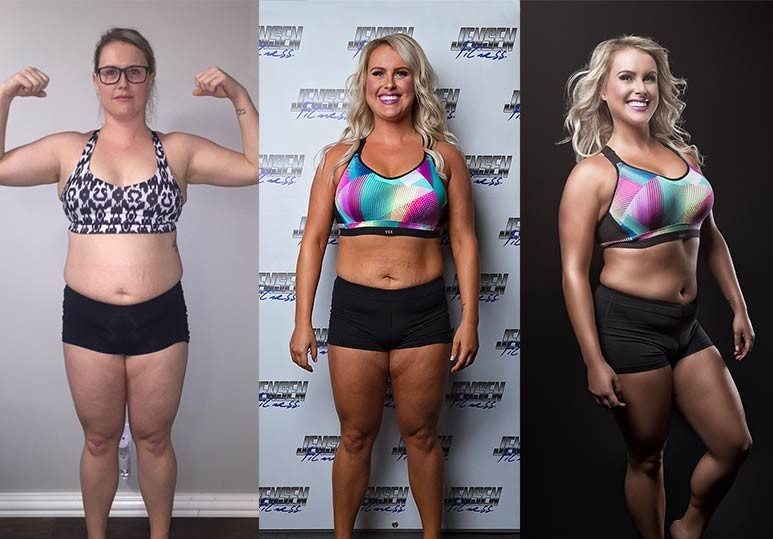 Krysta would highly recommend Jensen Fitness to anyone wanting to start their own transformation. She found Shayne and Christine to be understanding of life’s circumstances, but still pushed her to achieve her goals at the same time.